This week we are doing a followup talk. A few weeks ago we talked about our YouTube Channel goals. Today we are talking about how much money we make from YouTube. Our first-month earning income from the channel was 3 months in and we made just over $10. Woot! That’s a beer or two. The most we have ever made in a month on YouTube was just over $400. Now that’s a good amount of beer money but obviously isn’t going to support us on its own. 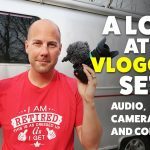 In total over the course of almost 3 years now we have made around $6100 in YouTube income. Nice! Again nowhere near a full-time income but we are very happy with that extra money which allows us to have more fun and film it for your guys! We also have a couple of other revenue streams linked to the channel. 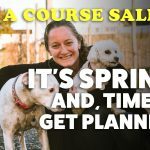 Our course, How to Plan Your Epic RV Adventure was created after all your awesome emails and comments about planning. We made about $8000 from the course when we launched it which blew us away. Thank you! That’s with most of those sales being half off too. We also make anywhere from $20- $150 a month from Amazon. Anytime you click to our store and buy something we get a small percentage. That can really help us out! So that’s how much we have made on YouTube. We aren’t trying to make YouTube our jobs or full-time incomes since we are FIRE and that is why we don’t do Patreon. Any videos, swag, giveaways, or meetups are for all of you awesome people who subscribe to us. We are so happy you follow us on our journey. None of this would be possible without you.